I started out with the intent to post an image from an exposure in Norway, since I was there at this time last summer, but I didn’t get that far back in my catalog. Instead here is something from Vermont this summer, since I am here now. In this time when it seems that so much about our country is ugly, with a president who is crazy, stupid, and mean, white nationalism rising from it’s slime-swamp, and so on, I take some comfort in living in a place that is beautiful and grounded, ordinary and extraordinary at the same time. There is a wonder and a presence to the landscape, small and grand, of Vermont that I never take for granted. I’m sorry this other part of Vermont doesn’t show up in my photos much: I also have to say I’m grateful to live in a place where people are generally kind, sane and goodhearted. I’m also glad to say that really the country as a whole, despite so much ugliness and insanity currently manifesting, also is full of good people and beauty. With very few exceptions the people I meet are good. This image is for sale as a print. 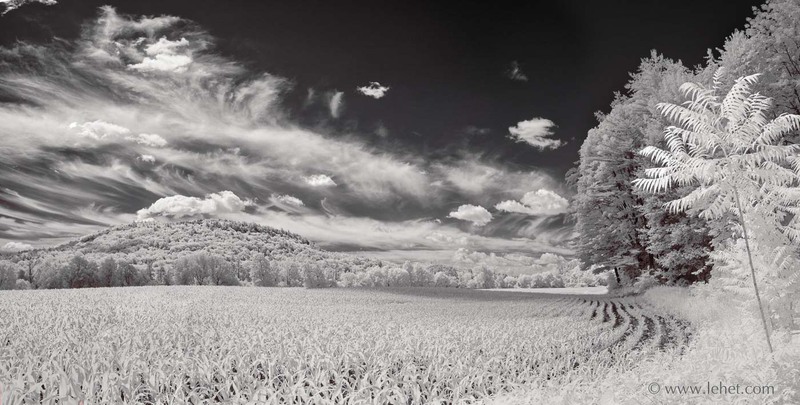 This entry was posted in Infrared, Landscape, summer, Vermont on August 12, 2017 by john lehet.